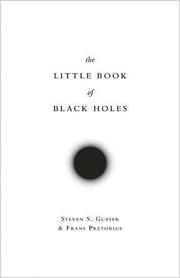 A comprehensive overview of the science of black holes, among the most mysterious, powerful, and mesmerizing entities in the universe. Black holes became big news in 2016 and again in 2017, when the Laser Interferometer Gravitational Wave Observatory confirmed the existence of gravitational waves by detecting evidence of a black hole collision. In addition to providing additional evidence proving Einstein’s general theory of relativity, this experiment was the first to directly observe black holes themselves—a stunning fact considering that scientists have devoted decades to research based on black holes’ astrophysical properties and that it is an accepted fact that many galaxies, including our Milky Way, have massive black holes at their centers. Princeton physics professors Gubser (The Little Book of String Theory, 2010, etc.) and Pretorius condense their significant expertise in black holes into an easily digestible analysis. They write that with LIGO’s observation of black holes comes “the dawn of a new age in observational astrophysics—one in which black holes will play a pivotal role.” They also explain that black holes are essential “theoretical laboratories” that may advance our understanding of quantum mechanics and thermal physics and perhaps bolster as-yet-unproven concepts such as string theory. The authors excel at describing these complex scientific ideas within relatable contexts, and they provide readers with detailed explanations of general and special relativity before discussing the cutting-edge experiments and theories that make black holes more intriguing than ever. Still, this book is not for the scientifically timid; the authors don’t shy away from the nitty-gritty of Einstein’s field equations and other math. The result is a text that goes deeper than most others intended for a lay audience, making it more rewarding for those who invest the necessary effort. Don’t be fooled by its “little” title; these renowned physicists deliver a robust and thrilling book that will draw readers in as surely as any event horizon.